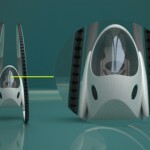 FWD is a human powered vehicle concept which is neither a bicycle nor a tricycle. 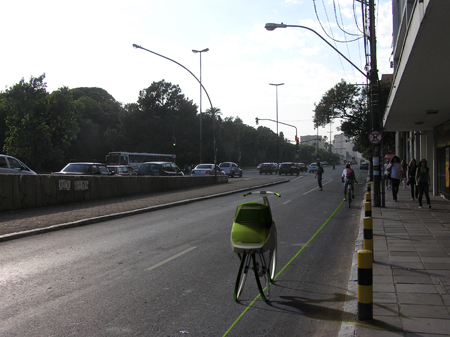 Both configurations exist in the same product, and allow use on both streets and rails. 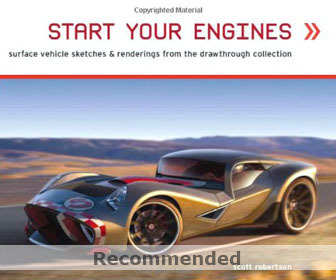 The model is designed in order to bring forward an excellent steering, braking and shifting system. The seat is very comfortable and can be easily adjusted as per your height. There is a box attached on the back of the vehicle for keeping your stuff and this box also gives support while driving. 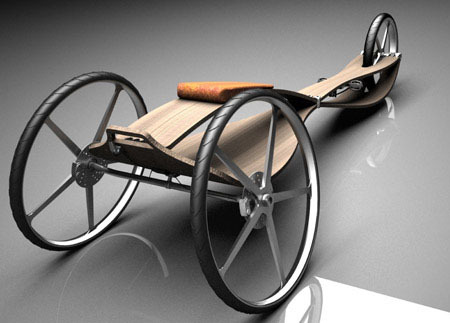 This ideal vehicle is one-seater and can be parked anywhere without any stand. 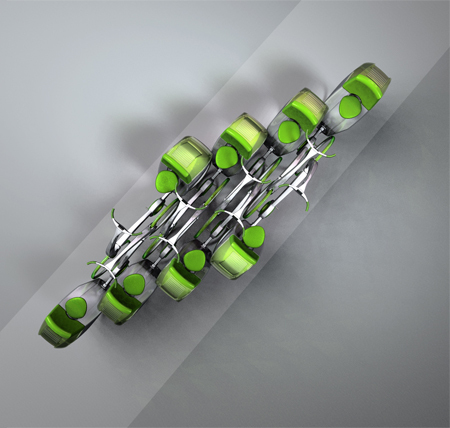 Through the use of an integrated system of magnetic rails, which greatly reduces the force required from the user to propel the vehicle, fwd presents itself as a definitive eco-friendly solution, reaching to a much wider audience than that originally receptive to conventional bicycles. The rails also act as guides, guaranteeing space and security for the users in the chaotic urban environment. 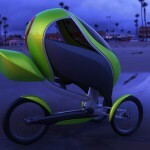 Overall the concept vehicle is worth trying on the roads. 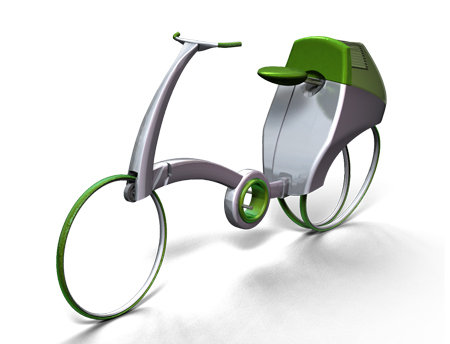 FWD vehicle can also be used in rental system, once rented by means of a monthly payment, the bicycle/tricycle (fwds) can be obtained in any of several stations spread out through the city. 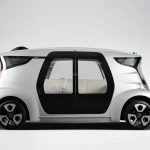 Returning the vehicle to the station after each use is not required, but eliminates the need to either store or carry the bi/tricycle all the way across town (in a car, or bus) when you need to cover a greater distance. With fwd, you can take a bus to go to school, rent a fwd there to move across town, and return it before taking the bus back home. fwd is specifically targeted to college students, to which its existence is most beneficial, but can be rented by anyone. 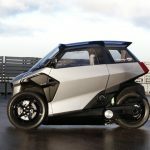 Finally, in the ‘cruiser’ mode, the back wheels converge to the ground, effectively changing fwd into a highly mobile bicycle, suited for places where there isn’t a rail and for more adventurous uses. 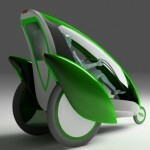 This entry was posted in Bike, Designs and Concepts, Green. 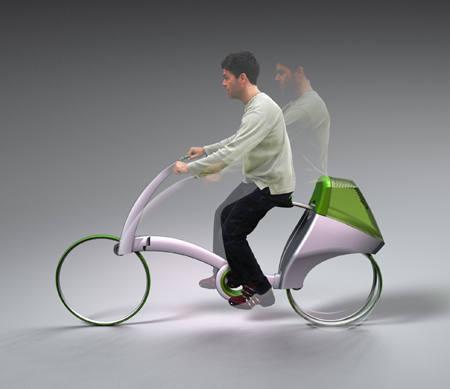 Tagged as bicycle tricycle, bus back, conventional bicycles, human powered vehicle, joas, magnetic rails. 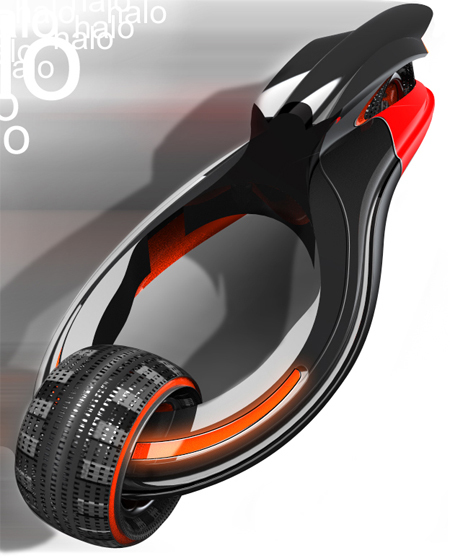 I'm student of industrial design ( in master of art degree) in IUST (Iran university of science and technology). 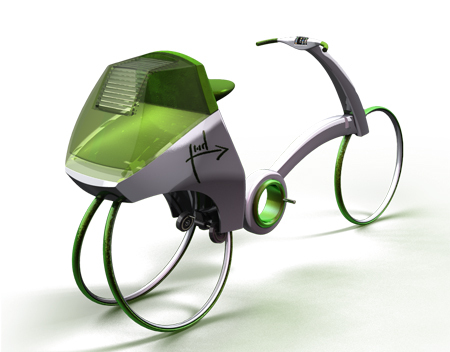 your modern bicycle concept is really nice and fantastic. 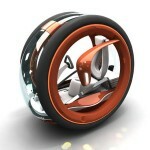 could you send me (kourosh_shok@yahoo.com) more information about its wheel system, I want to know more about how it work. What is it with designers and hubless wheels? There is a reason you don't see hubless wheels in the real world.